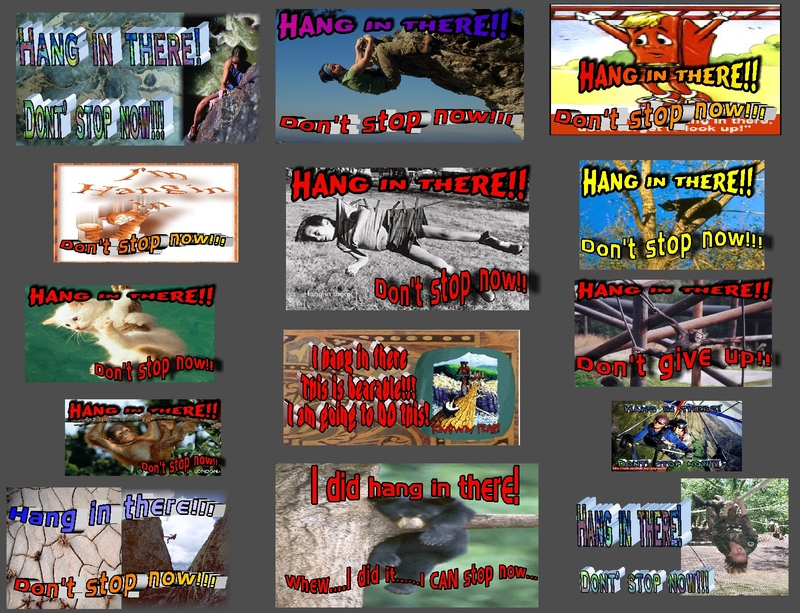 for kids in my classroom…. 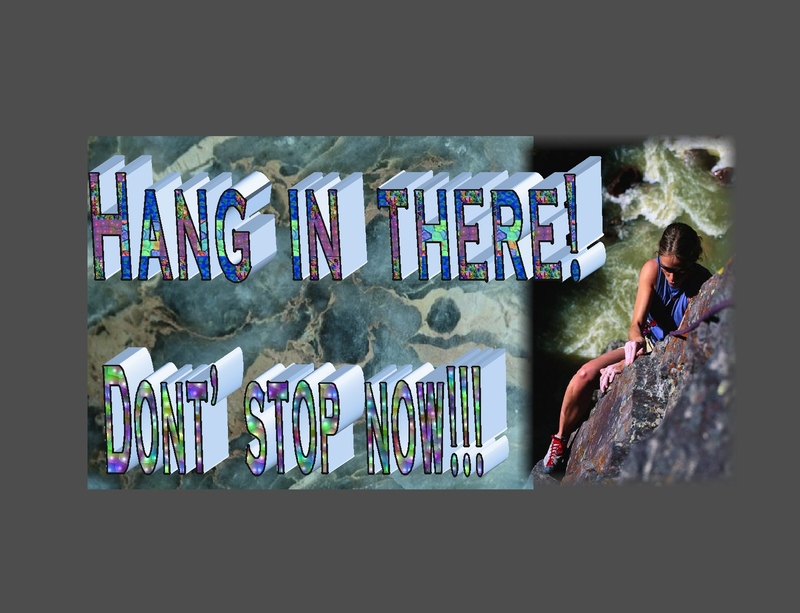 to persist, even when things seem difficult…..
Well….it seems that work has gotten a bit busy…. uh oh…pressure’s really piling on…. And what a relief that will be!!!! that are proving to be helpful…. 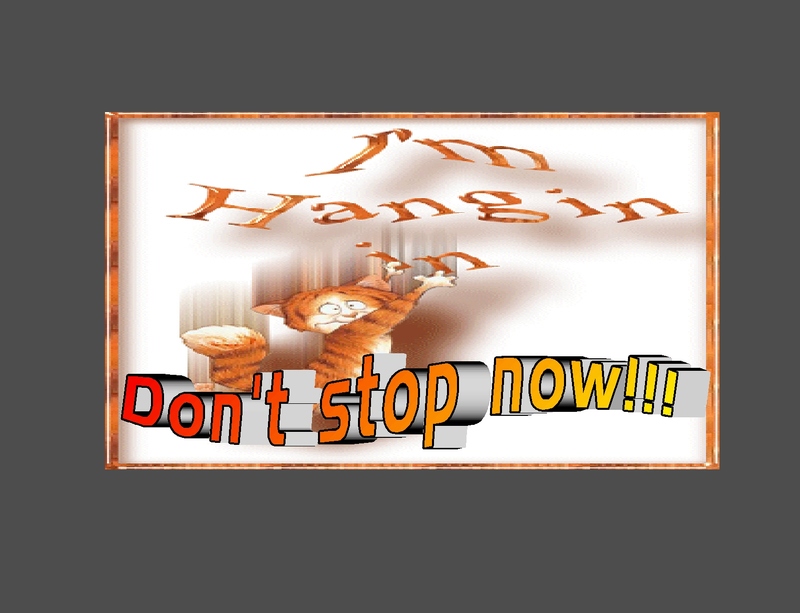 til he starts down again…???? 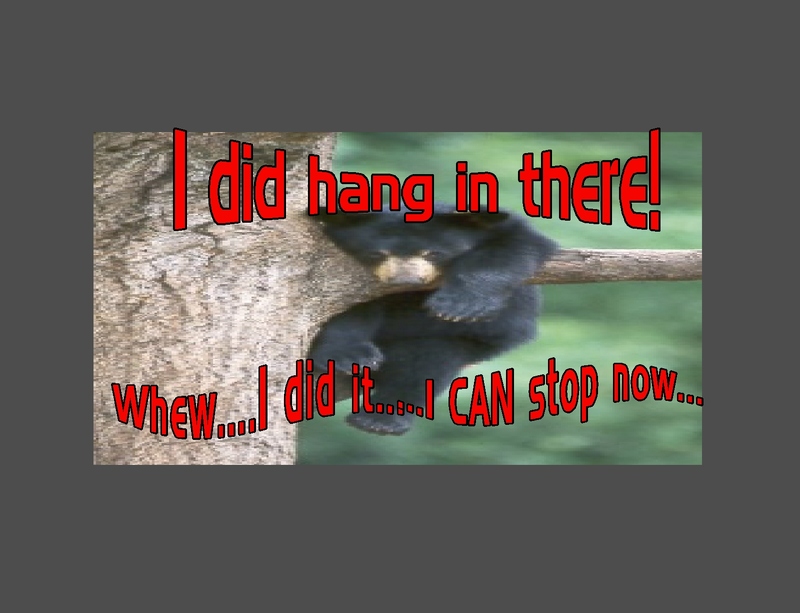 This entry was posted in Encouragement, Funny and tagged Courage, Encouragement, Humor, Life, Motivation, Perspectives. Bookmark the permalink. Kathy, these are great! You are such a motivator;) I just signed up to Send Out Cards, an online company that allows you to create your own cards online and they print and ship them for you. I just love it! 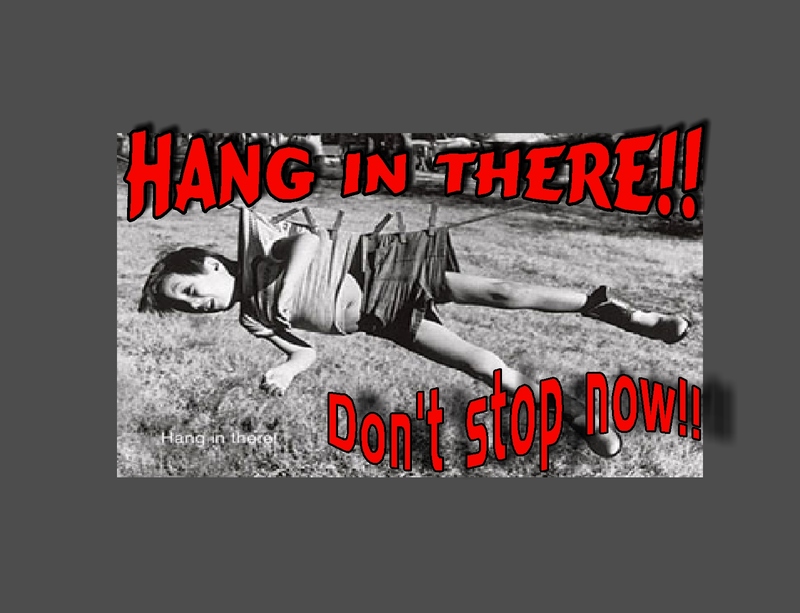 Hang in there girl…just six more weeks to go until summer vacation! Thanks Leah…. I’m actually “retiring” in June…well, I’ve renamed it “re-wiring”…(“retiring” sounds like going to bed and not getting up….) …so connecting the wires a different way….using my own wires and energy source to light up new circuits…I’ll need to power up to clear out the classroom too..I’ll check out that card company…good idea! I actually like these cards for grownups like me. 🙂 I was smiling and chuckling at the images, especially of the little boy hanging on the clothesline. 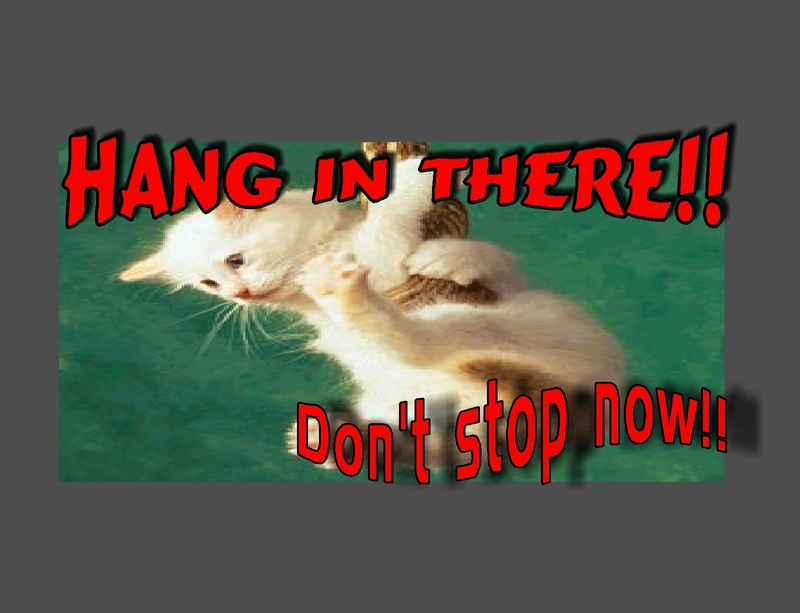 I am hanging in there too! : ) … maybe they appeal to your playful spirit. : ) ….And oh, that boy hanging from the clothesline…I hope that was photo shopped….if not, who would do that?? ?….a big brother maybe. I’m waiting for Nancy to arrive to give/suggest a good caption for him…actually, he’s rather….stuck! The kids must have LOVED these cards, Kathy. 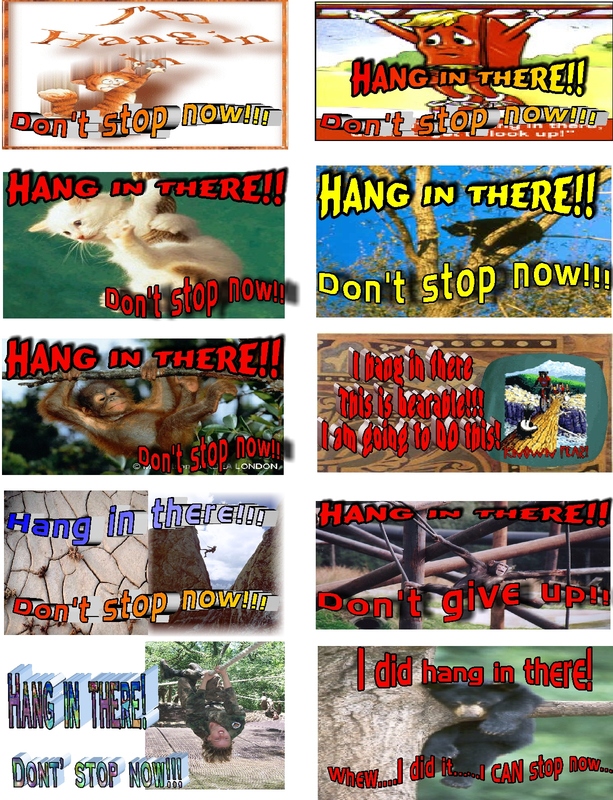 Wonderful sharing of your “hang-in there” cards. So great that we can print them. Bless you for this valuable gift! I’m happy to share…I never quite know whether my perspective resonates with others….maybe since I’m with kids so much, my presentation and words might seem a bit “young” or enthusiastic for others…I try to rest in simply sharing, whether others get it or not…but it’s so nice to hear when people do. This is a terrific post! And you use photos so well to make your points! 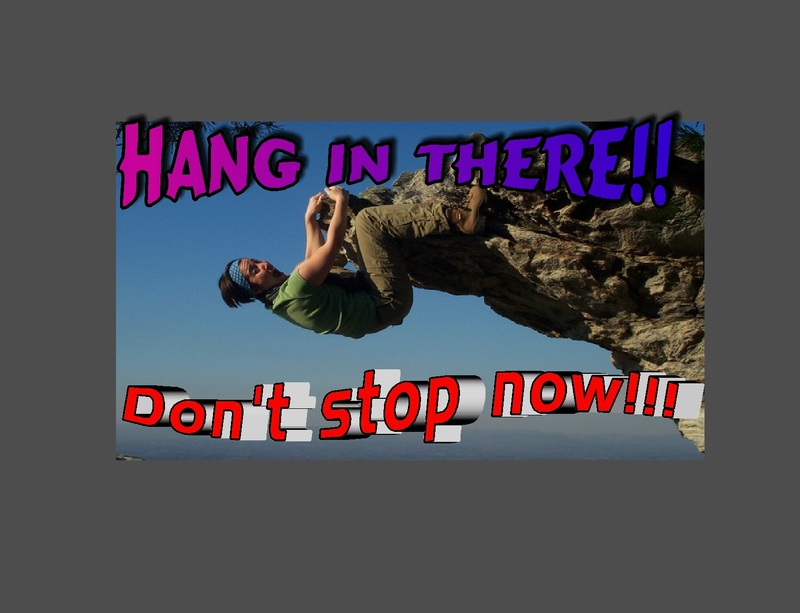 This reminds me of the many times I’ve “stopped” just a tiny bit short of a goal, and in looking back weeks or months or years later, have realized that, if I’d just hung on a wee-bit longer, I would have accomplished what I was stretching for! !